It's important to remember that even within the same county or the same state, there can be several different markets. So you might run into a situation where you're both selling your home at an advantage and buying your home at an advantage, or any combination of the two, depending on where you decide to move to. This is often a factor in people's relocation decisions. Buyer's markets and seller's markets don't last forever. It's hard to predict what the market will do with any accuracy and things change slowly. You might end up waiting months or years for things to change. And when circumstances do change, they may not change in your favor. This is an important factor to consider when you're deciding when to buy or sell real estate. Free detailed market analysis and overall assessment of your property's sell-ability, condition and value. Suggestions for preparing your home best for sale including staging, recommended repairs or rearrangement of existing items. Widespread Internet Coverage via today's leading websites including Trulia, Zillow, Realtor.com, together with our dedicated website feed into the Maine MLS property data base with real-time updating and many more. Home property books prepared professionally and placed at your home for potential buyers. 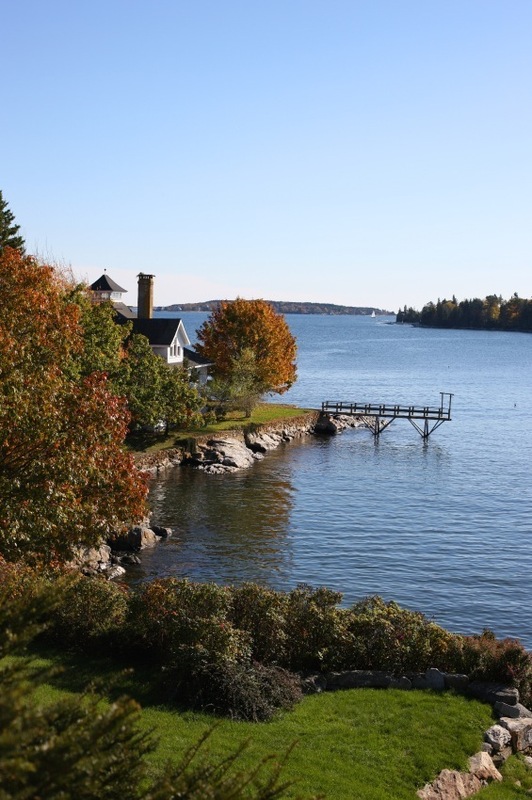 Affiliation with MREIS - Maine Listings organization, our statewide Multiple Listing Service. Expert negotiators to help you get the best price with all written offers presented. Coordinating all details for your successful settlement date and closing. We also offer state of the art marketing tools and highly effective Internet campaigns. 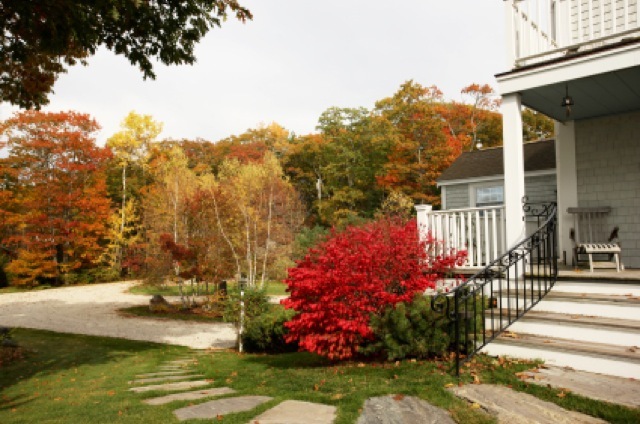 The New England Real Estate Company is fast becoming a trusted name and brand known locally in greater Midcoast Maine as the one real estate brokerage that gets seller's homes sold and assist buyers to find the perfect home. When you call, we answer or call you back promptly. We have a trained office staff ready to assist you in the fastest and best way possible. Before you sell your home, we suggest you will greatly benefit from your own homework of the current condition of your property - and revisiting all the possible improvements you can make to enhance it's value and return on investment for you. Become familiar with all the facts about your property, such as property taxes, current or future potential zoning, lot size, square footage, terms of your existing loan, etc. Perform an outdoor "walk-through" of your own property. First impressions are everything in preparing your home for sale in today's market. Never underestimate the importance to buyers that seek more information on your home as most buyers today are first, driving by the outside of your home - before they ever take the next steps to even feel interested in seeing the inside. With Trulia and Zillow today, as well as displayed on our own mobile website, a qualified buyer can many times, easily understand the comparative value / relationship of your home, given the access to local Midcoast Maine sold sale data online - in seconds, right from the street in front of your home. First impressions for buyers (and sellers therefore) has never been so important than today. Looking at your home from the street, is the house appealing? This is called "curb appeal". Is the grass nicely cut, are the hedges trimmed, are the leaves swept up? Are all toys put away such as bikes, scooters, etc.? Can those extra cars be moved out of the driveway? Remember, less is more when selling property - especially from the outside as well as the inside. Are the interior paints and finishes in good condition (recently updated), or do they need to be freshened up? For a minimal investment, you could possibly break, or make a sale, by having your home look well-kept, freshly painted and inviting. Are the carpets or other floor coverings clean and in good condition? Like the paint, are they attractive and well-kept? Replacing floor coverings maybe worth doing, prior to listing and selling your home, so that your home makes a good "first impression." Are all light fixtures working properly, and is there good lighting in each room? Showing Tip: Always turn on all lights just prior to a showing of your home - nothing makes a buyer more comfortable and a home feel more inviting. Always remember, less is more so begin to pack away all those extra items, take down those family vacation pictures on the refrigerator, etc. Another Showing Tip: Rent a storage unit and move all the packed boxes, extra pieces of furniture and all those treasures you have been keeping for all these years into storage...Remember, when a buyer does arrive to see the inside of your home it is important for them to see themselves in your home - not among your items - but in large, open, roomy, and well lit spaces, where they can begin to imagine for themselves that this is the perfect home for them. For More Tips visit our website page, "Staging your Home in Today's Market" for our Top 10 helpful tips to best prepare your home for sale. Sell their home within a specific time frame. Recommend ways to stage or fix up their home to have it sell for a higher profit and in a quicker time period. Help with paperwork, inspections & properly preparing for settlement. Some Realtors tell you what you want to hear. In the real estate profession, this is known as "buying a listing". A Realtor who lists a property at the highest possible price is using poor strategy and more importantly, doing you a disservice. You see, your house gets the most attention from other Realtors when it is a "new" listing. If priced properly, lots of Realtors will show it to their buyers. If you price it too high, no one will show the house and it will sit on the market for some time. Keep in mind, Buyers today have direct access via the web, on all sold properties in the area and they know going in, where current home market values range. When you finally drop or reduce your price to reflect its real value, your house is "old news" and buyers may think you are growing desperate. Therefore, the prices you are offered will come in lower and lower - and you may find yourself accepting a price that is below what you could have received had the house been priced properly to begin with. We see this over and over again. Besides, pricing your home too high will only make similar houses for sale look that much better. Overpricing helps sell those houses, not yours. 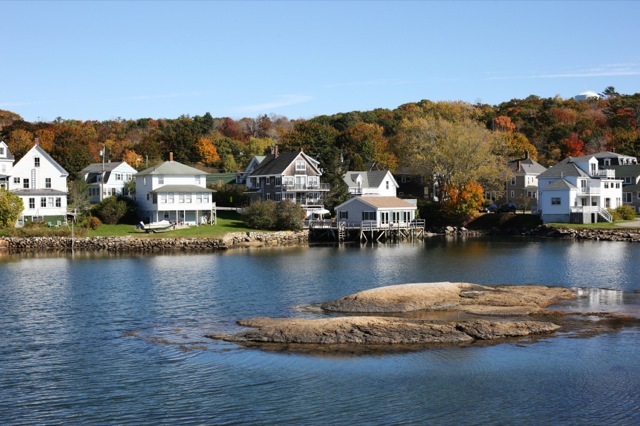 When you work with our team of professionals at The New England Real Estate Company, you are working with over 50 combined years of real estate experience and leadership within the Midcoast Maine market. Our company has your interest in mind to do what it takes to sell your home. Our reputation is one of hard work, persistence and perseverance and we believe no property is to large or to small. We put in the time that is necessary to successfully market and sell your property. The real estate profession is constantly changing, especially today and, as mentioned above, the best real estate professionals stay aware of those changes by continuing their education. Many go beyond the required minimum requirements and many brokers acquire "professional designations" that show they took additional specialized courses. In our company, we include an educational component within our sales meetings, held each week of the year - that's 52x times a year that we focus on advanced education and have open discussion on key, relavent topics in today's increasingly more complicated real estate environment. This focus, belief and practice in expanded and continued education is just one of the key points of differences' you'll find in working with the Realtors and Brokers in our company. Knowledge of the local market isn't determined by living in that immediate neighborhood. Your chosen Realtor should have knowledge of recent sales, schools, businesses, and so on, but that is easily achieved through research - the true difference is the Realtor you have chosen, who is excited to know the differences of what makes your property stand out over others and helps communicate those key differences to interested buyers. Look for a Realtor who has passion, education and excellent communication skills. Look for a Realtor that consistently is a high producer of sales in the midcoast, year after year with a true passion for the profession and/or simply demonstrates to you that raw passion and belief that anything is possible and brings that energy to your listing to best postion and sell your property. Eitherway, Sellers are looking for a Realtor who will do the most effective job of marketing their property, negotiating the most favorable terms and conditions, and communicating with them to make the process as smooth as possible. Please reach us at your convenience at 207.236.7000 or 888.236.7015 or feel free to send us an email to: info@TheNewEnglandReCo.com or visit our web page "Our Difference - Our Brokers" for more helpful information about how our companies' Realtors and Brokers can best help professionally market and represent the listing of your home or property - and successfully selling it today vs. tomorrow.